In one case, as Los Angeles Magazine reports, one pop-up pot provider in Culver City incorporates the use of medicinal-grade marijuana with other rest and recovery techniques like yoga, hot stone massages and meditation. The anti-inflammatory effects of cannabis and CBD oil are touted as a means of easing pain and helping athletes get the rest they need to make a full recovery. Athletes have long touted the medicinal recovery value of marijuana as part of their training routine. How widely it will catch on isn’t known because many colleges and professional sports teams routinely drug test, and marijuana isn’t on the list of prescribed pain medications. Last year, USA Today reported on a survey of NBA players indicating an estimated 85 percent of teammates use marijuana. In the NFL, where physical exertion and serious injuries are higher, some put the rate of use at as high as 89 percent. Because marijuana is on the list of banned substances for the leagues, players who test positive for marijuana can be fined, suspended or even terminated. Yet players on record with the news outlet said even the general managers, coaches and presidents used the drug as well. Kyle Turley, who spent a decade as an NFL offensive lineman, said publicly he became a vocal advocate for cannabis after incurring chronic traumatic encephalopathy as a result of more than 100 concussions he sustained while in the NFL. To treat his pain, he turned to legal opioids prescribed by doctors, but this quickly snowballed into addiction. He now says medical marijuana saved his life, and that he would not be where he is today were it not for that. Part of the problem with proving marijuana’s medicinal effects on recovery after athletic exertion is that researchers have not been given free range to study it. One of the major concerns is that marijuana is only beneficial if someone is chronically or terminally ill, otherwise it causes harm. But as Harvard medical doctors told Men’s Journal, there is strong evidence cannabis does have valuable medicinal properties. Proving this, though, is going to require scientific backup – and there is scan funding for such research when it might run afoul of federal law. The effect of cannabis on muscle protein synthesis does not seem to be of note. 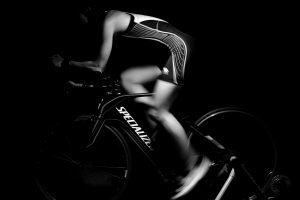 There is some anti-inflammatory component, but what we don’t know is if it works at any sufficient magnitude to help heal muscle damage – which in turn would help an athlete return to their sport faster. It can also help with the side effects of delayed onset muscle soreness, which again, can get a person back into the gym faster. It’s also noted to help with chronic pain, per study conducted by the National Academies of Sciences Engineering and Medicine. If an athlete from high school to professional runs afoul of their organization or league for testing positive for marijuana, an athlete cannabis lawyer can help represent players in meetings before state boards, employers and more.